"scoring Irving Berlins ""newest"" Musical"
In his day job, Bruce Pomahac is the resolute and cheerful Director of Music for The Rodgers & Hammerstein Organization. But for several months last fall, he took on a full-time alter-ego, as the Vocal and Dance Arranger for WHITE CHRISTMAS. Here, Bruce talks to Happy Talk about Irving Berlins newest musical. HAPPY TALK: The movie of White Christmas is such a beloved favorite. Does that help or hinder the challenge of turning it into a live stage production? BRUCE POMAHAC: Oh, it helps. Even people who havent seen the movie have a vision of it. 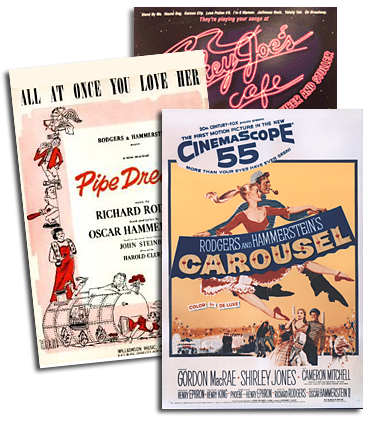 This is based on their knowledge of the songs (especially the title song), the movie musicals from the golden era which they have seen and enjoyed, and the images of this film and others like it which - in the form of clips and media bites - have continued to live in our culture for the last fifty years. People bring all of these memories to the theater, and, whether they are aware of it or not, it affects how they react to what is essentially a brand new experience. HT: WHITE CHRISTMAS has a pretty great collection of songs to start with, but it still needed a few more numbers to turn it into a full-blown musical. How did that process work? BP: Songs are exclamation points in a musical like WHITE CHRISTMAS. When you get to a number it has to deliver the goods. For sheer entertainment, no one does this better than Irving Berlin did. Often the challenge was not what song we were going to find, but which of several would be the best choice. [Co-librettist] Paul Blake and later, [co-librettist] David Ives and [director] Walter Bobbie did the choosing, and did it brilliantly, I think. Then it became the job of the music team to make the songs fit seamlessly into the cloth of the story and the production. HT: As you wove the interpolations in with the movie songs, what sort of style did you and [orchestrator] Larry Blank find yourselves working toward? BP: The decision was made from the get-go to keep the sound of the music in the post-World War II big band era vernacular. We approached every number as if it were being created, arranged and performed in that time. Of course what that means is in our memory of, our fascination with, and our celebration of that time. [Music director] Rob Berman, Larry Blank and I all loved and responded to the music of that era. And since our story was being told in that era, keeping the music in that specific place was a totally honest and natural thing to do. In fact, employing period harmonies and musical devices made our story more honest and natural than it might have seemed had we used a more contemporary musical vocabulary to tell it. Luckily we had Walter Bobbie to remind us we werent doing a revival. Even as each song and dance needed to reflect something from the past it also had to deliver the punch of something totally new. 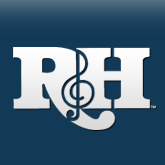 HT: New songs require new arrangements, right? BP: Right. The orchestra has to be big, in order to cover all the emotional bases. The choral arrangements have to thrill. The singing actors and actresses must enthrall us. This is a big order. The arrangers have to pull out all the stops and a cast and orchestra need to be found who can put luster into every note and chord. This is the show biz magic that WHITE CHRISTMAS celebrates. HT: You mentioned a big orchestra. WHITE CHRISTMAS was arranged for 24 pieces. Is that unusual for this day and age? BP: It is rare that any theater producer feels he or she can afford to hire more than the minimum number of players required by the musicians union for a pit orchestra. On Broadway today that can be as few as twelve players, or even fewer. Kevin McCollum understood the power of expression a full orchestra could bring to WHITE CHRISTMAS, and he was determined to have a big band with a string section from the start. I couldnt be happier. There is no substitution for what a full orchestra can add to a musical production. And there is no way to make an orchestra of sixteen or fifteen or fewer players sound like a full orchestra. The Overture to WHITE CHRISTMAS would get a big hand every night. (Larry Blanks orchestrations are sensational.) And when the orchestra finished playing the exit music at the end of the evening, the people still in the theater gave that a big hand, too. As Ted Chapin and I are always saying to each other, you have to let music do what music does. Then there is the sense of discovery and the emotional resonance and all the things we go to musicals to experience. HT: Bruce, you worked on the screen-to-stage transfers of MEET ME IN ST. LOUIS, Rodgers & Hammersteins STATE FAIR and now, WHITE CHRISTMAS. Obviously, you believe that great movie musicals have great stage potential too. BP: Absolutely. For one thing, if theyre done right, they should feel more like a new show than a revival, and I think that these three have each met that test. The hardest part about recreating the past is making it exciting once again. WHITE CHRISTMAS doesnt so much take us back to another time as it entertains the socks off of us right now. In a world that can find as much irony in the good old days as it can in todays headlines, I think this is the secret and the surprise of Irving Berlins and WHITE CHRISTMASs brand new success.